I will never forget about you Pabón, all the great work we did together ( en las Preventivas ) all around 772, 366, Calle Loiza etc... You never hesitate to help another officer and fight crime. Your kindness, professionalism, courage and motivation will always put you in top. God's peace and speed Agent Pabon-Robles. Thank you for your brave, dedicated service. RIP Brother. Se me hizo difícil procesar la noticia sobre la baja de un compañero en un accidente de auto. Más difícil fue procesar que habías sido tú! No dejaba de pensar en los buenos tiempos de la superior. Los buenos tiempos de adolescente. Lagrimas aún corren por mis mejillas al saber que ya no volveremos a ver tu sonrisa. En mi caso la pérdida fue por partida doble: la de un compañero de clase y la de un compañero de la Fuerza. Gracias por haber protegido nuestras familias en PR. Ahora descansa en paz entras nosotros ahora cuidamos de los tuyos. Tu misión ahora será velar por nosotros hasta que volvamos a tomar servicios nuevamente en el reino de los cielos. To the family of Agent Edwin Pabón-Robles, friends Superintendent Jose L. Caldero López and the Puerto Rico Police Department. On behalf of Session 61 and the Zone Five Regional Law Enforcement Training Academy NY, our thoughts and prayers are with your department and family. Rest in peace Agent Robles. My sincere condolences to your family and to your department. God speed as you now patrol the streets of gold. Your service will not be forgotten. It's weird to read after all that is happening in the US that a P.R. Officer had been thrown from his squad. Rest In Peace brother. You're home now. Agent Pabon-Robles, thank you sir for your service. We will keep your Department and family in our thoughts. Please watch over us as we carry on. Isaiah 57:2 Those who walk uprightly enter into peace; they find rest as they lie in death. RIP. RIP Sir. May God be with your Family and loved ones. Rest easy now. Rest in Peace, Sir. Thank you for your service to the citizens of Puerto Rico. May your family and fellow officers be comforted by the Lord during this very difficult time. 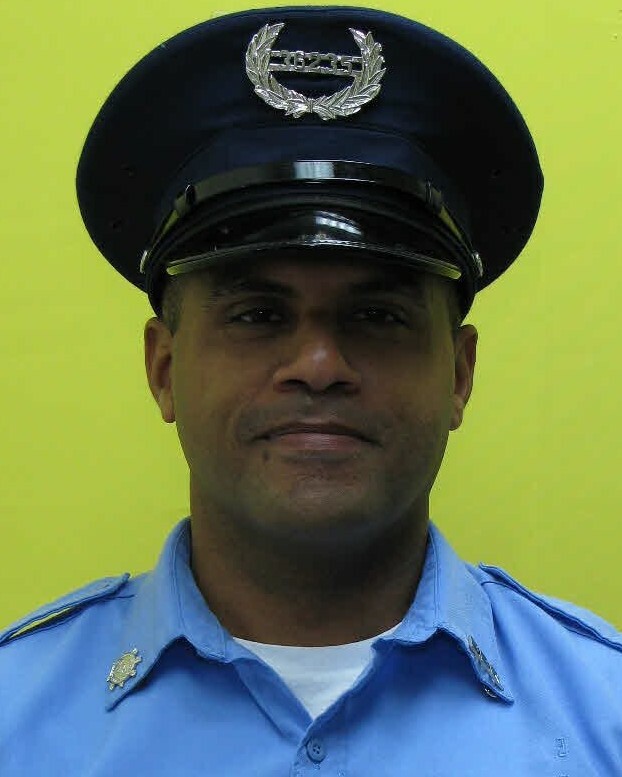 Rest in Peace, Agent Edwin Pabón-Robles. Thank you for your service to this country and your community. My thoughts and prayers are with your family and your department at this time. Rest in peace, Agent Pabón-Robles. You deserve your divine reward. Rest in peace my brother. I will never forget all the sacrifices you made for the Agency. You always had the courage to act in any kind of emergencies. It was an Honor to work by your side when I was assigned to Turistica San Juan. Rest in peace Agent Pabon-Robles. I ask Our Heavenly Father to comfort and watch over your family, friends and the Puerto Rico Police Department. Thank you for your service. God's speed brother. I also pray for your partners speedy and complete recovery.